Kmart’s descent into bankruptcy in January didn’t shock many analysts, but it sent thousands of city managers and planners scurrying. For many, their worst planning nightmare was about to become a reality. 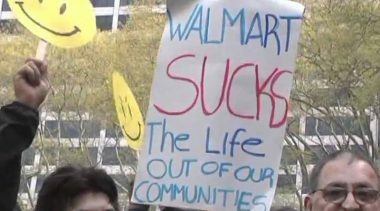 The reason became apparent when Kmart announced it would close almost 300 under-performing stores and slash 20,000 jobs. By some accounts, this move alone could almost double the inventory of large, empty stores in America’s cities. Most are in the nation’s older strip malls and suburbs. How local communities handle this crisis will be an important test of how well planners and city officials are able to manage the demands of the 21st century economy. The challenges are likely to grow. The traditional department stores that anchor many strip shopping centers and malls are less and less competitive. Sears, J.C. Penney, Dillard’s, Macy’s, Lazarus, and other chains have struggled to maintain revenue growth. 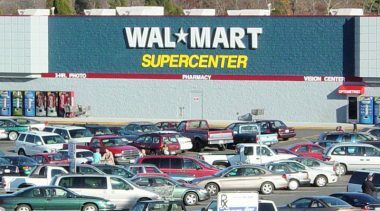 Meanwhile, revenues for big box and discount retailers such as Target, Wal-Mart, and Home Depot are increasing, boosting demand for more accessible, stand-alone buildings. The initial, knee-jerk reaction in many communities will likely be to follow San Francisco and other anti-growth special interests. Following an aborted attempt last year in the California state legislature, Mayor Brown is taking aim at big box retailers by proposing a dramatic expansion of regulatory oversight. More specifically, retailers hoping to occupy more than 40,000 square feet would be subject to detailed micromanagement by planners and the planning board, discouraging their location in the city. But, limiting big-box retailers ignores the tremendous social benefits they provide. Pioneers in discount marketing (including Kmart) revolutionized retailing and offered consumers a wider variety of products at higher quality and at lower prices. The big winners were low, moderate, and middle-income families. These folks will be the big losers in any attempt to rein in the so-called “big-boxes”. 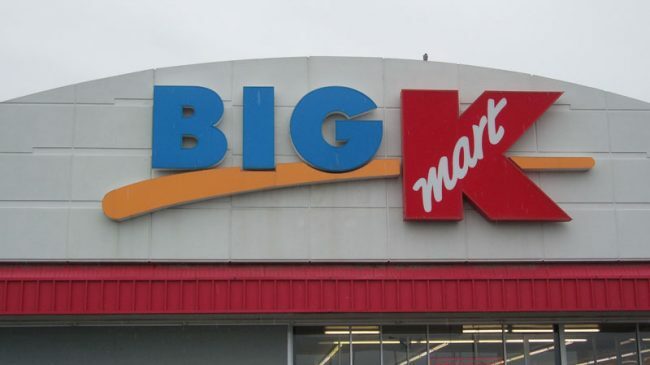 First, citizens and city officials need to recognize the demise of Kmart for what it is: highly visible evidence of capitalism’s “creative destruction.” Kmart failed to provide a better product for less money in an efficient way. 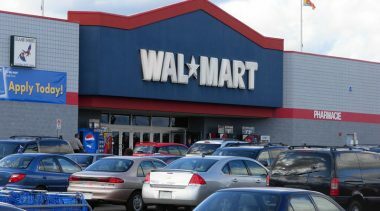 As Wright State University marketing professor Charles Gulas notes, fifteen years ago Kmart had to do three things to survive: go head-to-head with competitors such as Wal-Mart, live with reduced profit margins, and cut prices. It failed to execute these strategies effectively. Recognizing capitalism’s dynamism, of course, doesn’t solve the problem of what communities should do with the empty hulks of retail establishments. Sound urban planning, however, can’t ignore the uncertainties inherent in a market economy. In a dynamic setting where firms are born, grow, and eventually die, local development controls need to focus on impacts and processes, not specific outcomes. The empty big box is less important than ensuring policies are in place that encourage and embrace new uses for those spaces. Citizens and local officials can start by taking a hard look at their current land-use plans and zoning codes. Most land-use plans treat land use as a “stock”: something that doesn’t change. Land, in fact, is a stock resource. Land use, however, is a “flow”-the highest, best, most efficient, and most appropriate uses change as the community evolves and develops. Land that may have been most suitable for single-family housing may be best suited for multifamily or mixed use now. The community needs to determine whether its local development controls facilitate or hinder the natural evolution of the land market. In addition, communities faced with large investments in unique structures such as big-box stores can anticipate issues that might crop up in the event the store closes. A chronically empty store may well become a blight in the community, particularly if its physical and exterior condition is allowed to deteriorate. Businesses should recognize the potential for their store’s closure to negatively impact neighbors and the community. This can be addressed upfront. Some communities negotiate agreements with property owners and store managers to help mitigate the impacts of abandoned buildings. Local governments (and even the local business community) can, for example, clearly specify property owner responsibilities and obligations to maintain the appearance and soundness of their buildings and property even if it is abandoned. They can also encourage or assist in marketing the space for new uses through sources such as the local Chamber of Commerce. In more extreme cases, communities might even subsidize the demolition of chronically vacant properties. While some will see Kmart’s demise as another reason to substitute political judgment in place of the accountability of the market place, the long-term viability of communities depends crucially on their ability to adapt to the changing needs of the economy. Cities evolve, just like the businesses that serve them. 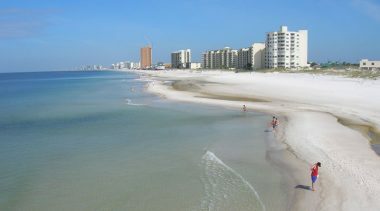 Locking communities and neighborhoods into static land-use plans and development controls risks their long-term future. Ultimately, every community’s sustainability depends on its ability to adapt to market changes, not ignore them.